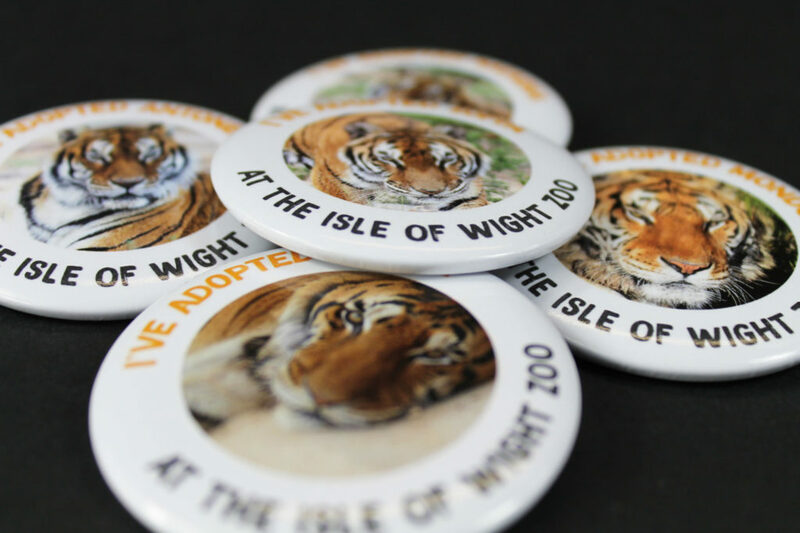 Isle of Wight Zoo to the Rescue Adoption boxes for five ex-circus tigers. 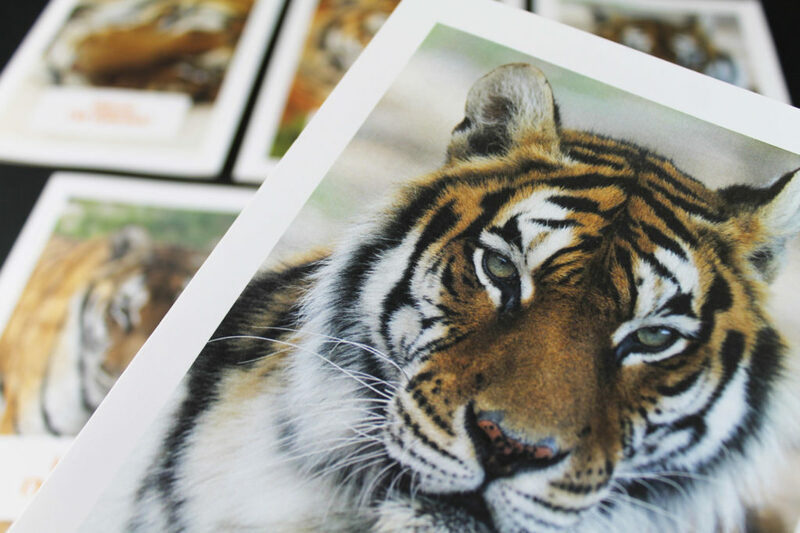 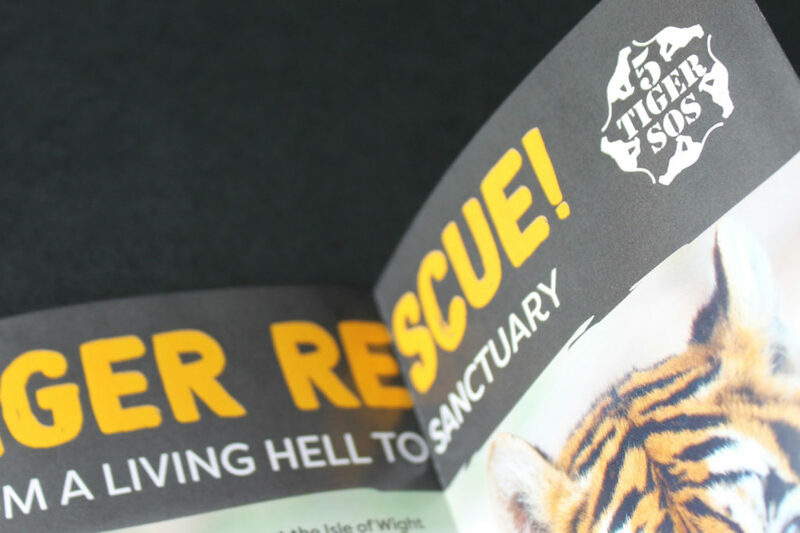 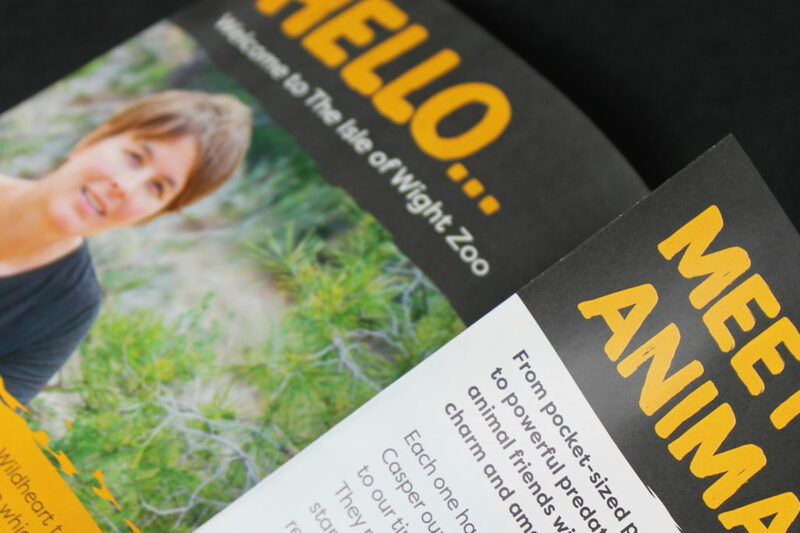 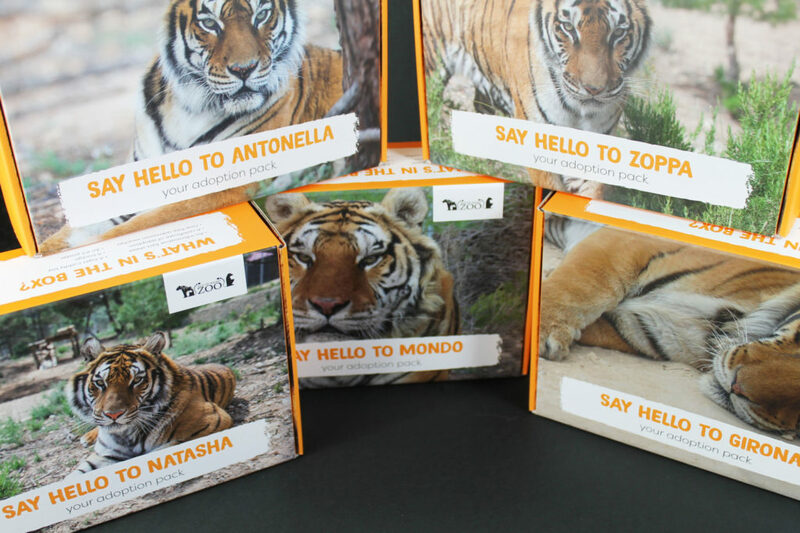 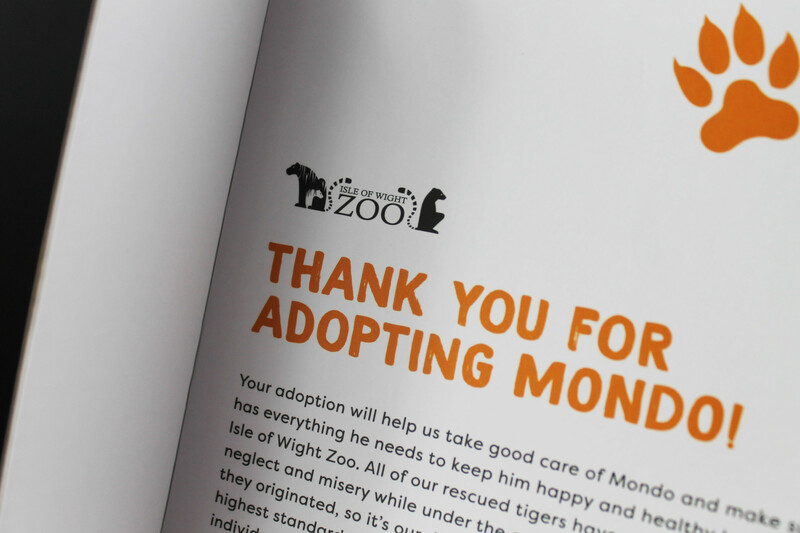 The Isle of Wight Zoo’s co-founders Chris Packham and Charlotte Corney, approached Coast Agency to create, design and produce new adoption boxes in time for the arrival of five ex-circus tigers that were rescued from a Spanish circus. 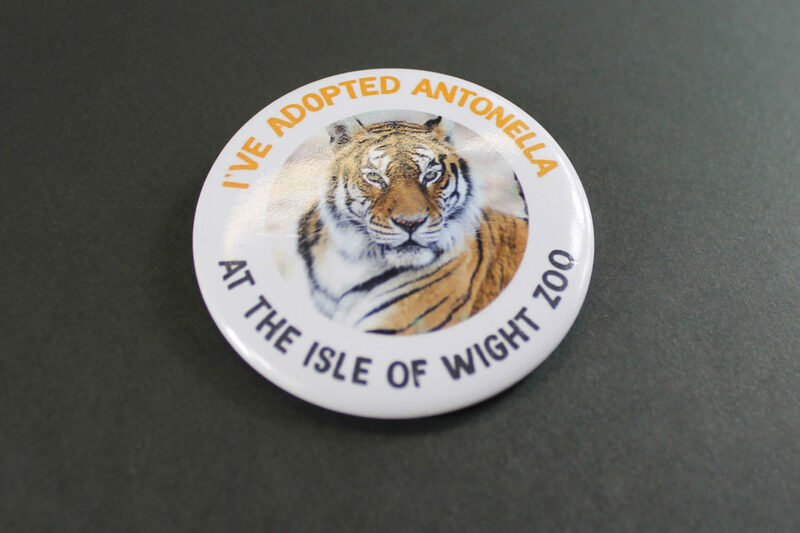 The tigers were treated poorly by the circus and were soon rescued and then ready for their forever home at the Isle of Wight Zoo. 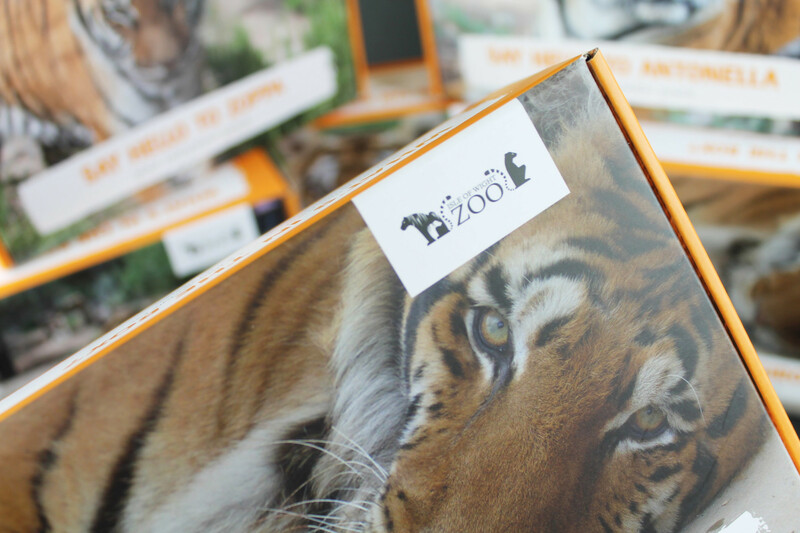 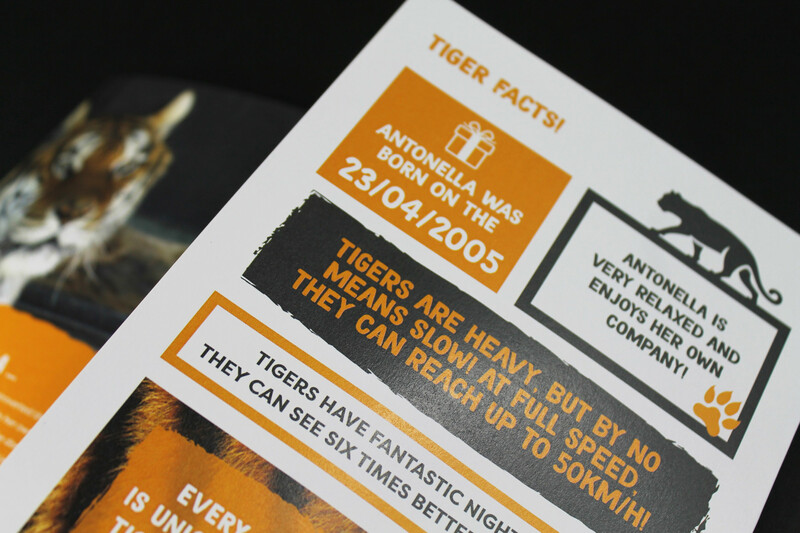 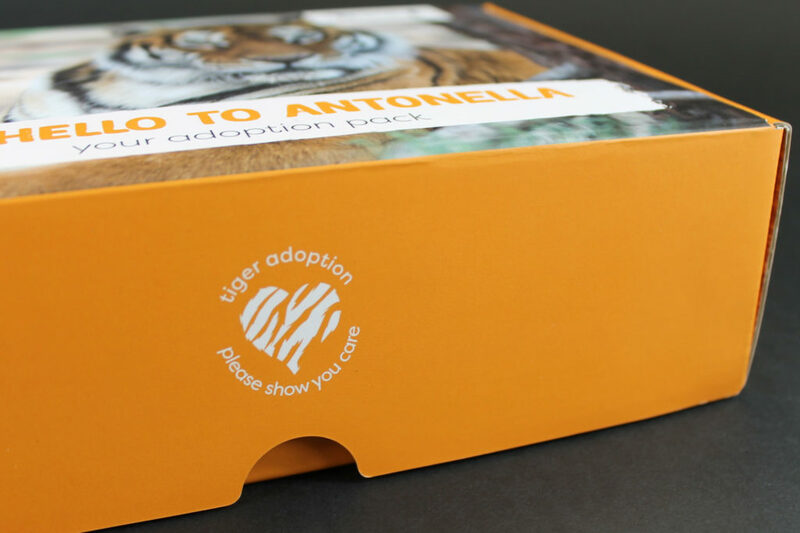 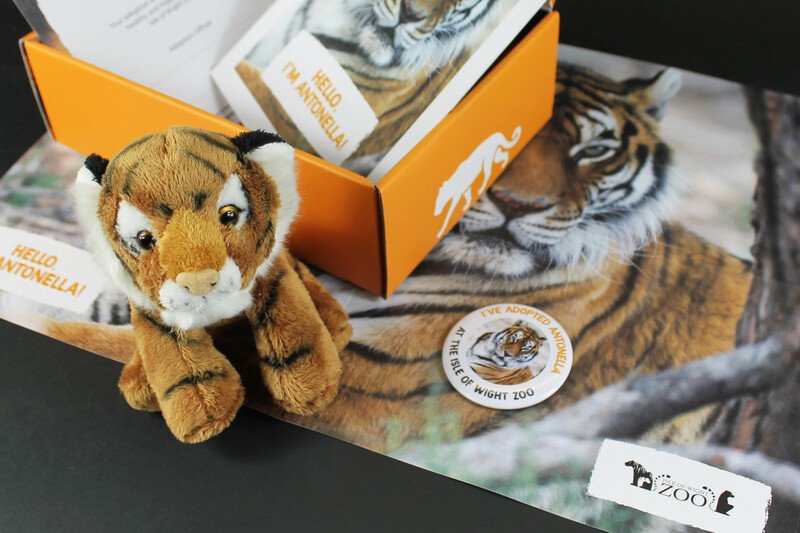 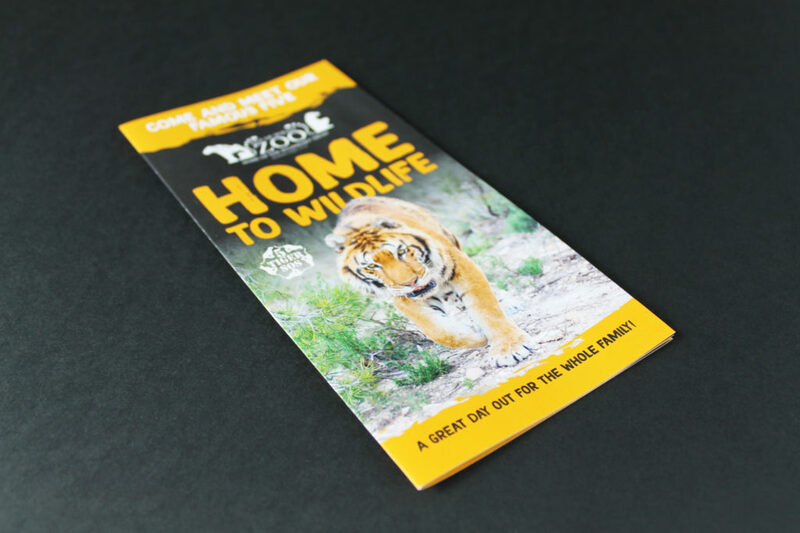 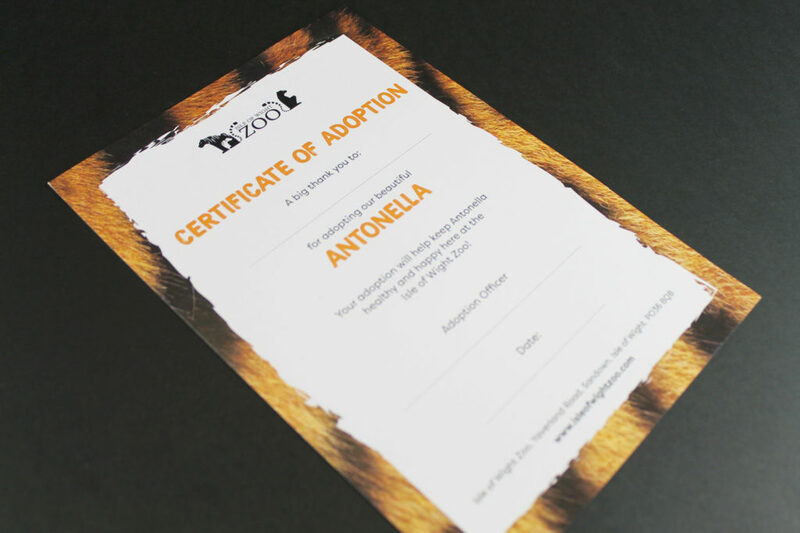 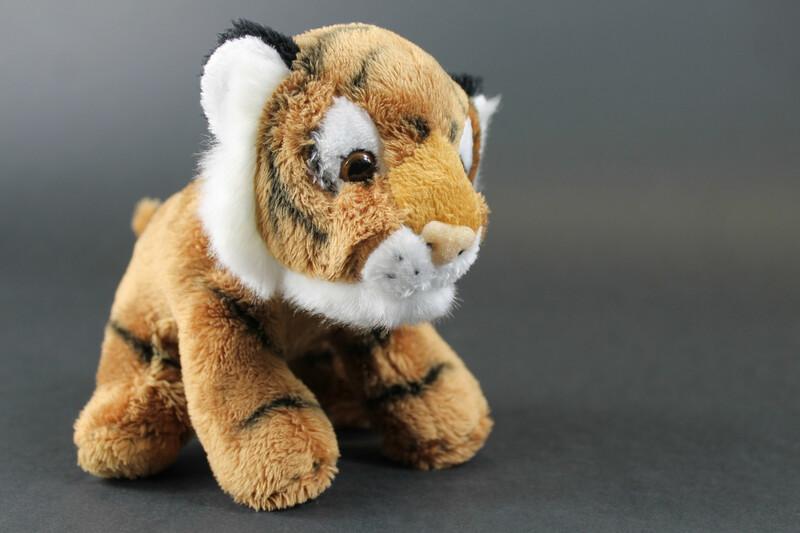 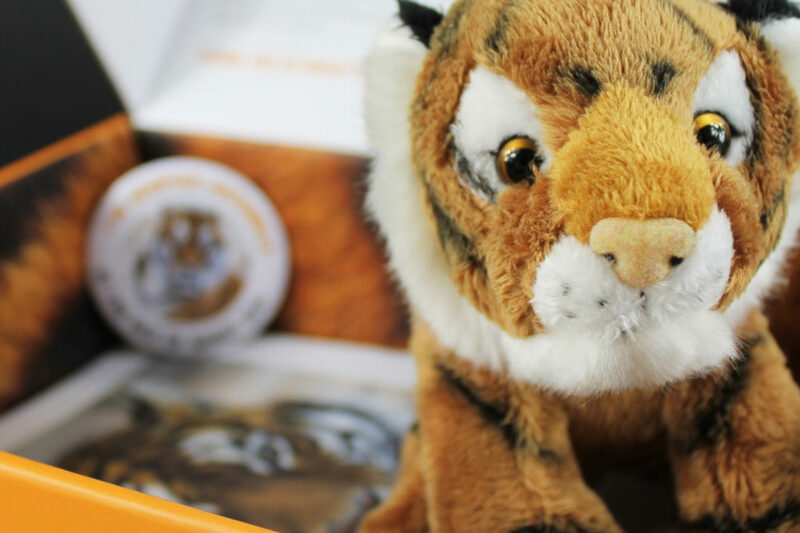 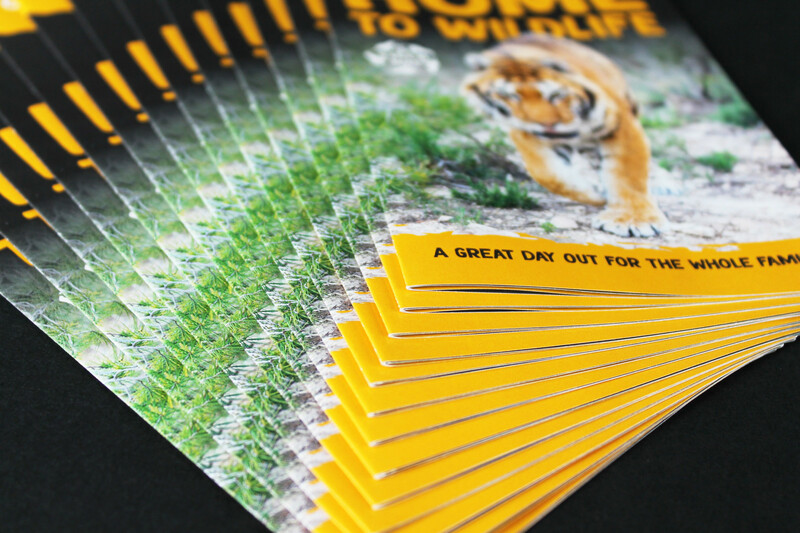 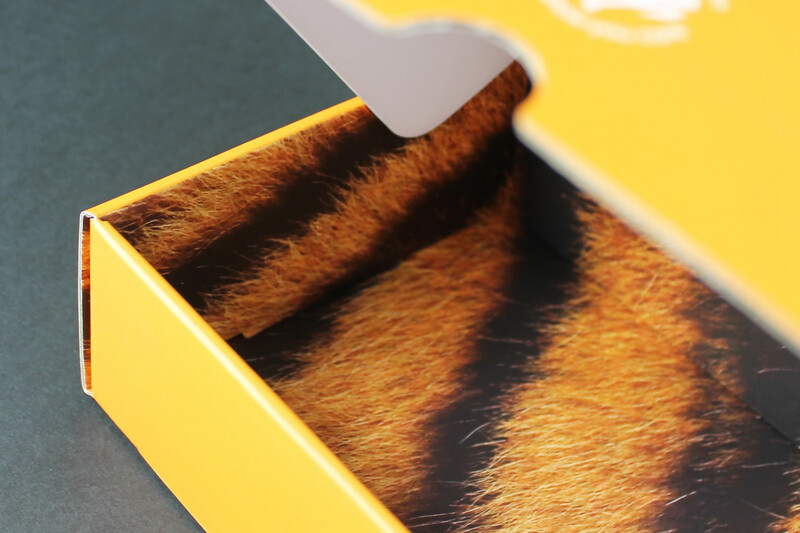 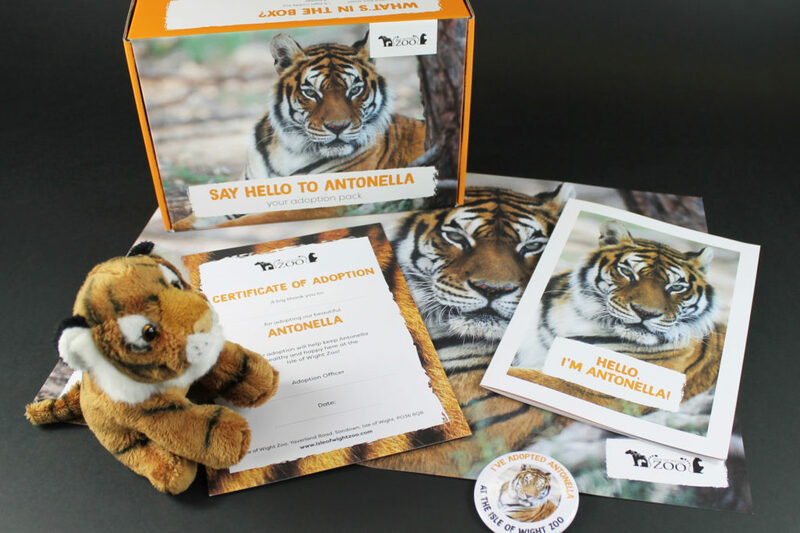 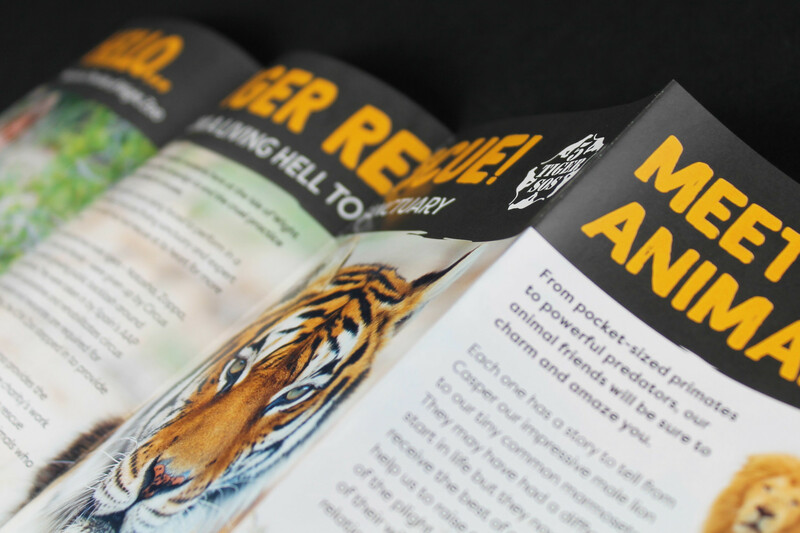 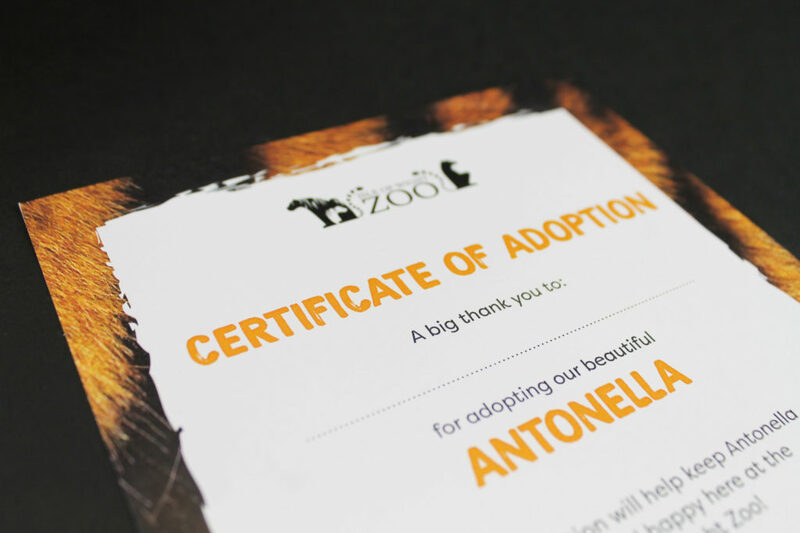 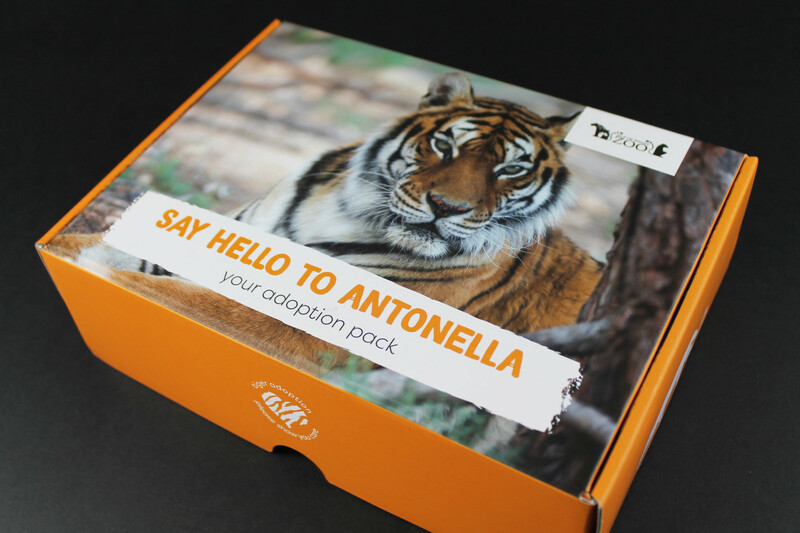 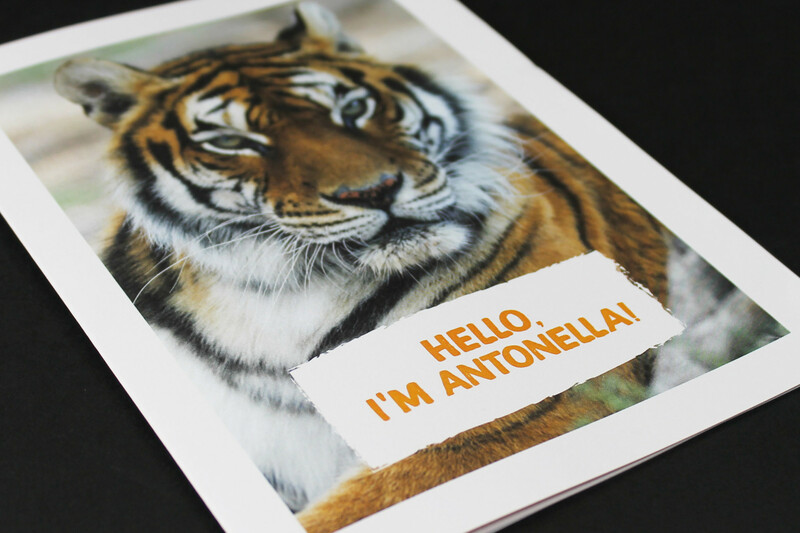 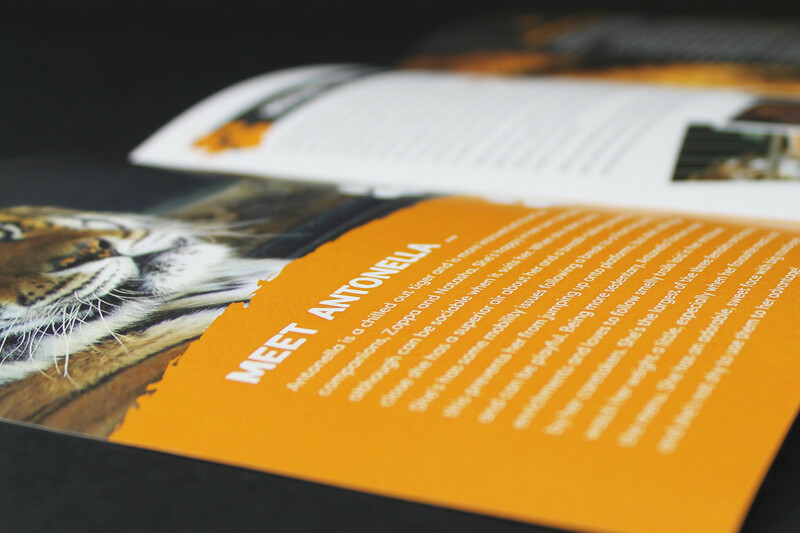 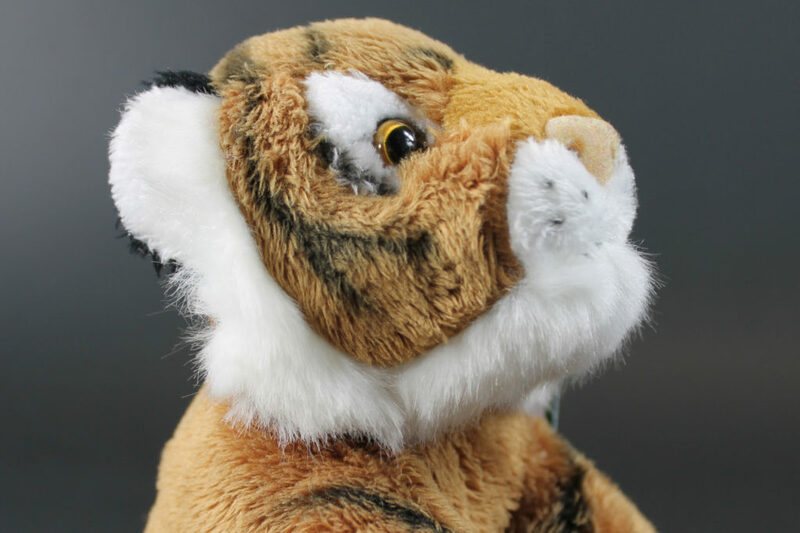 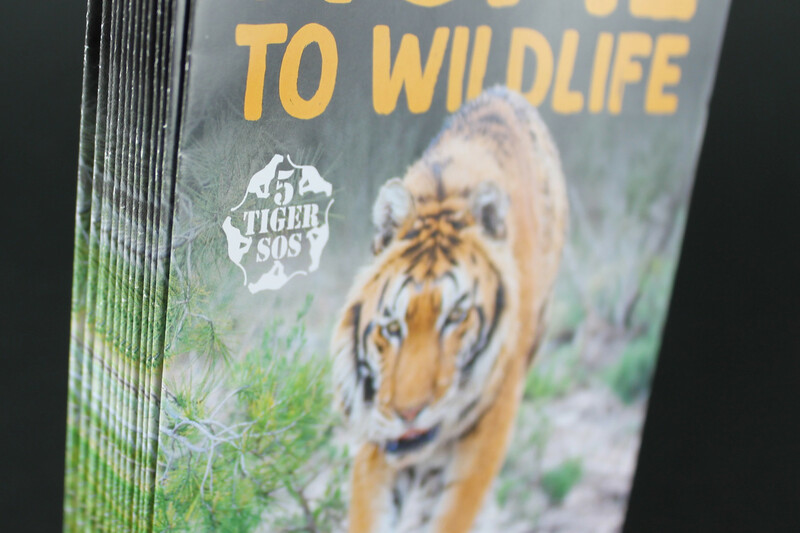 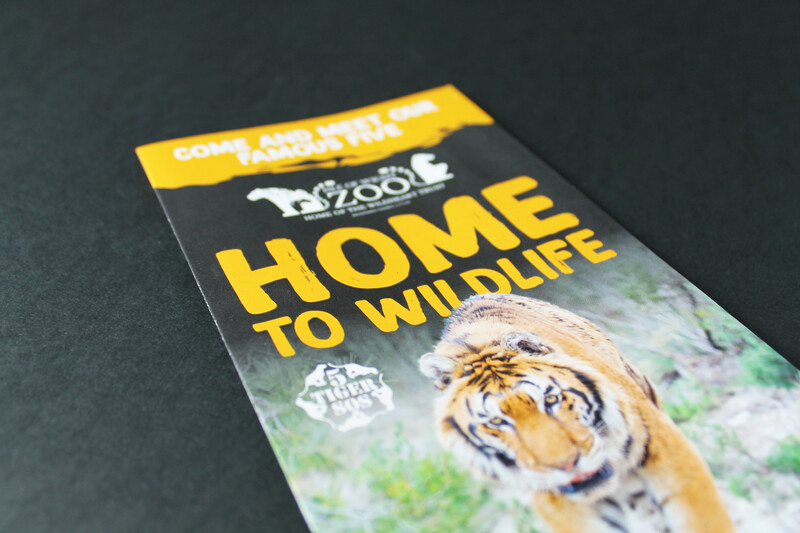 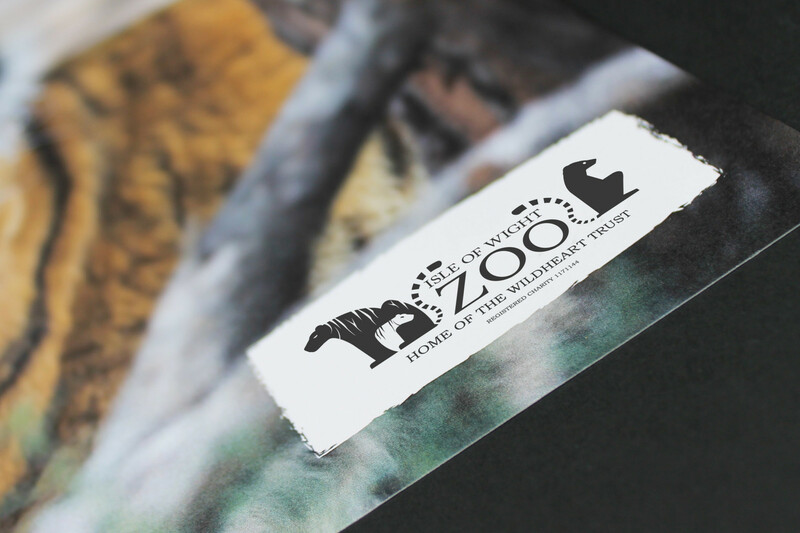 They wanted to create an adoption box for each tiger, all of which would include a information leaflet, a badge, a plush tiger, a poster and a certificate. 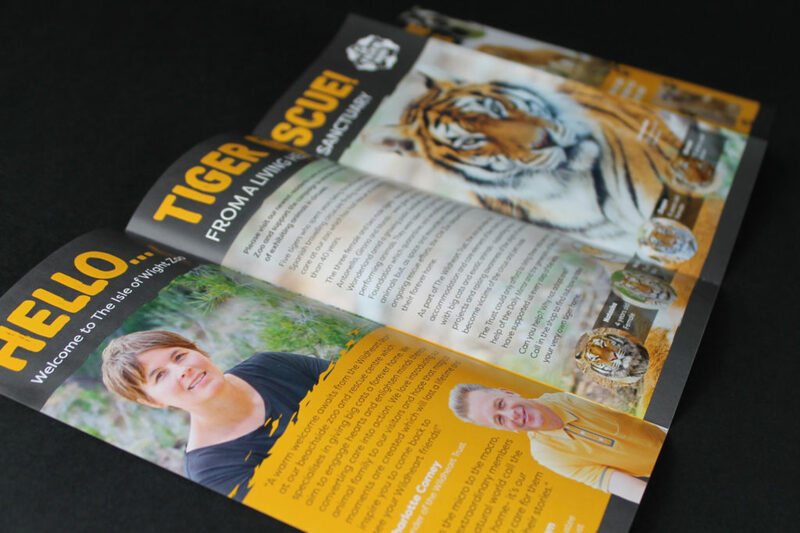 The money would then be used to help keep the tigers happy and healthy. 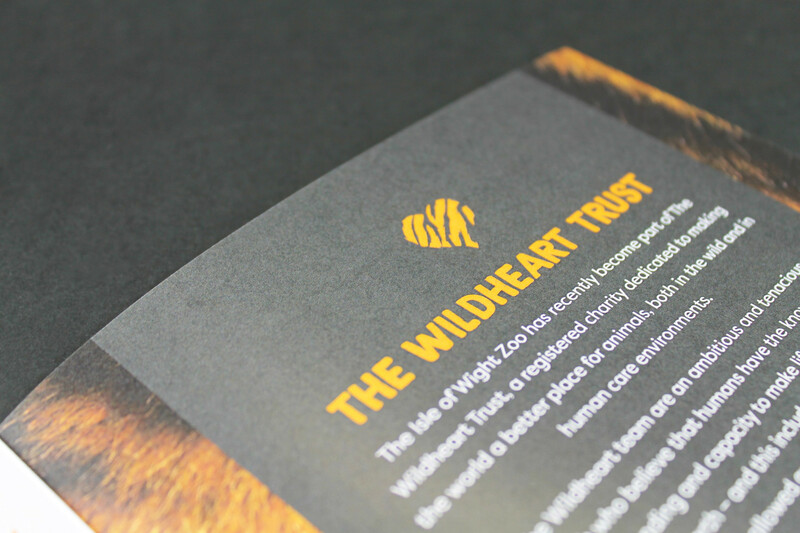 When we approached the deisgn process, we wanted to give the boxes and unique style; a mixture of modern and quirky styles with bold colours and contemporary typefaces. 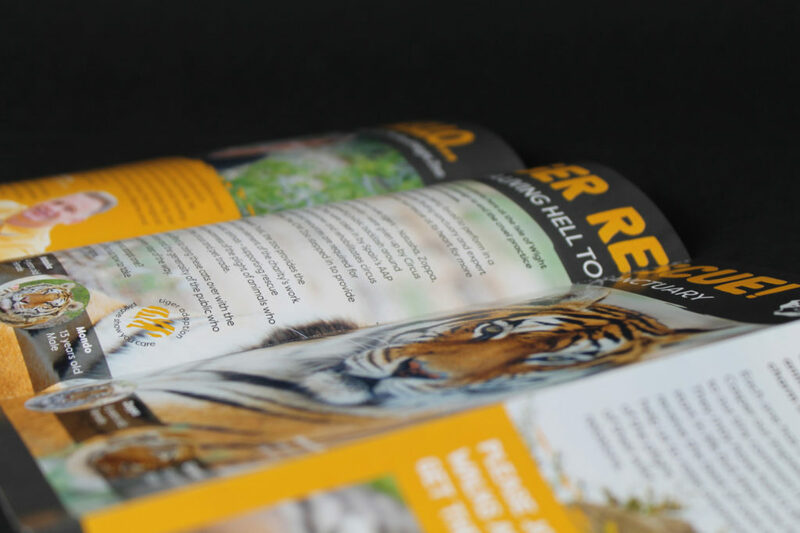 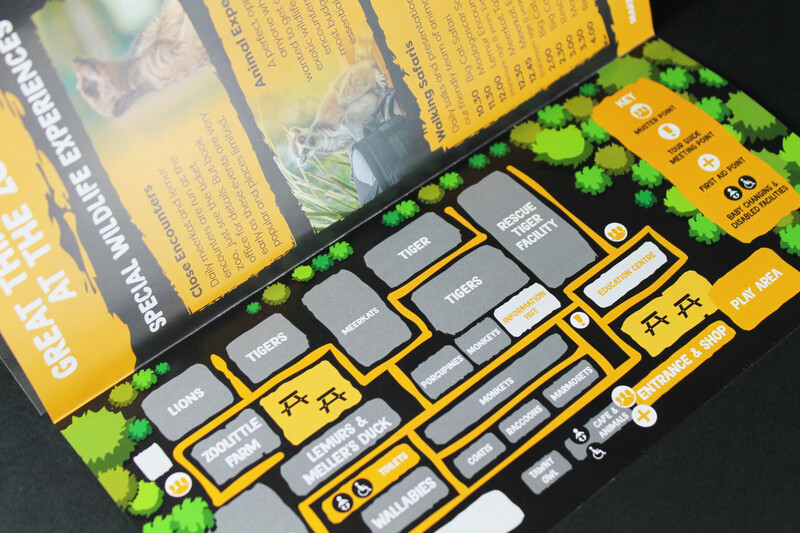 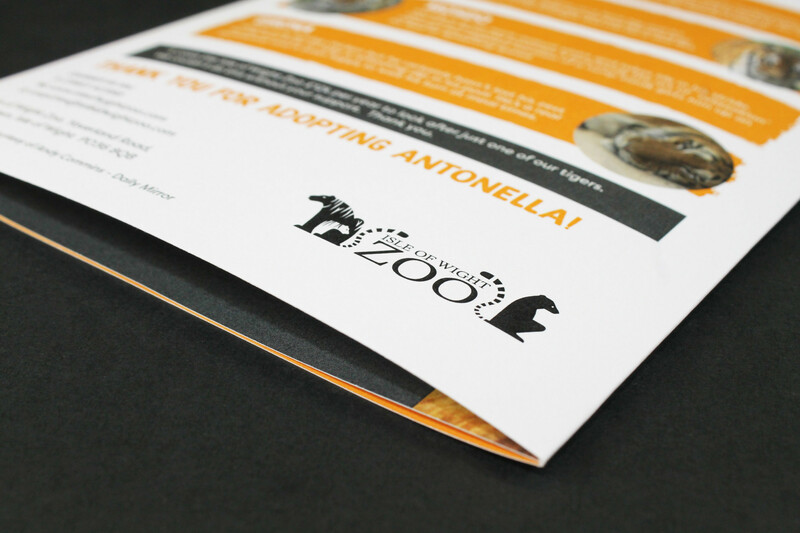 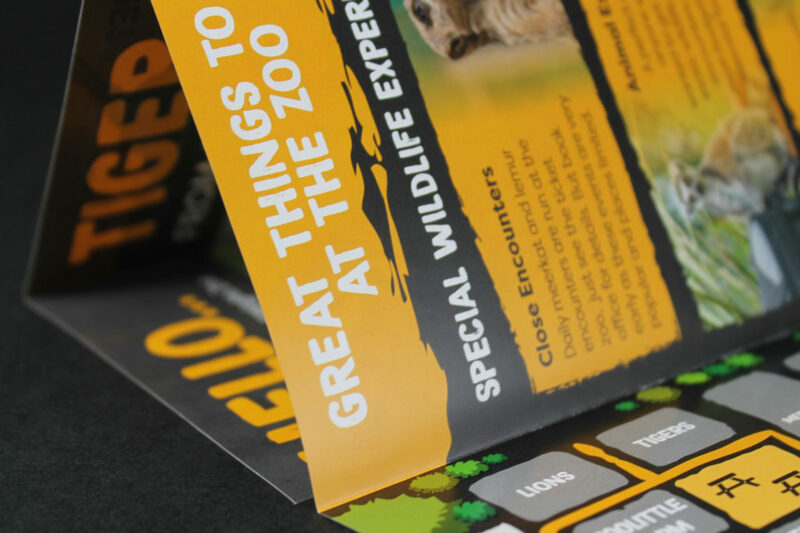 We started off producing the leaflet design for the boxes and tweaking each one ensure an even balance in style, colour and layout. 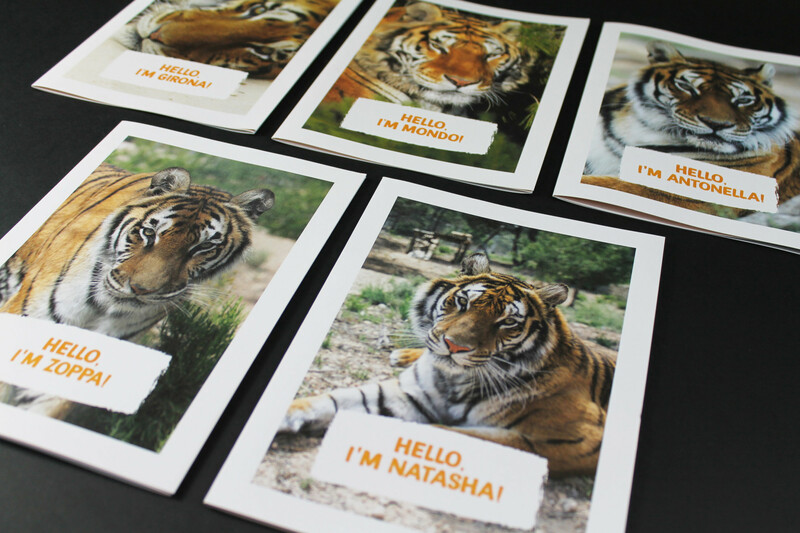 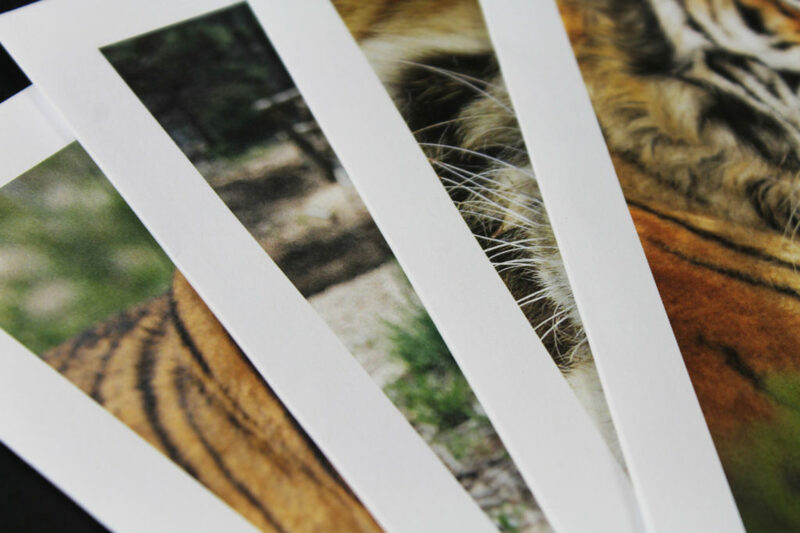 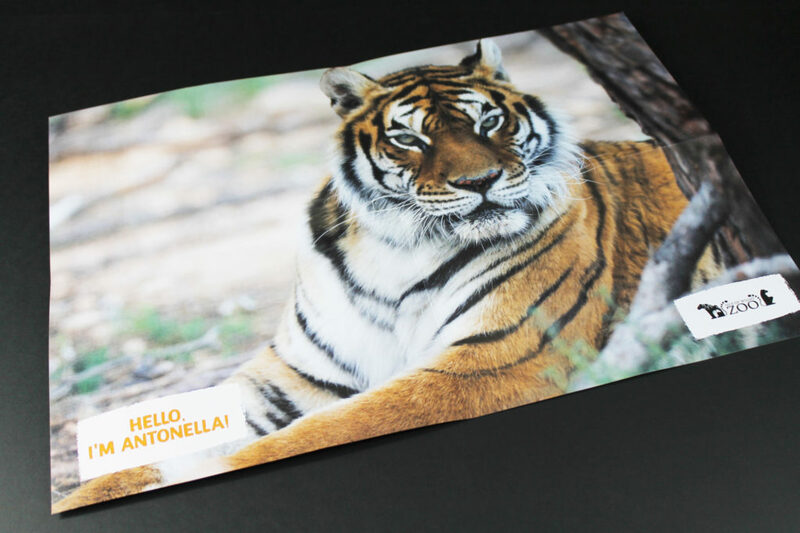 We also had some great photographs of each tiger, so we wanted to create a style that would make the photography easy to incorporate. 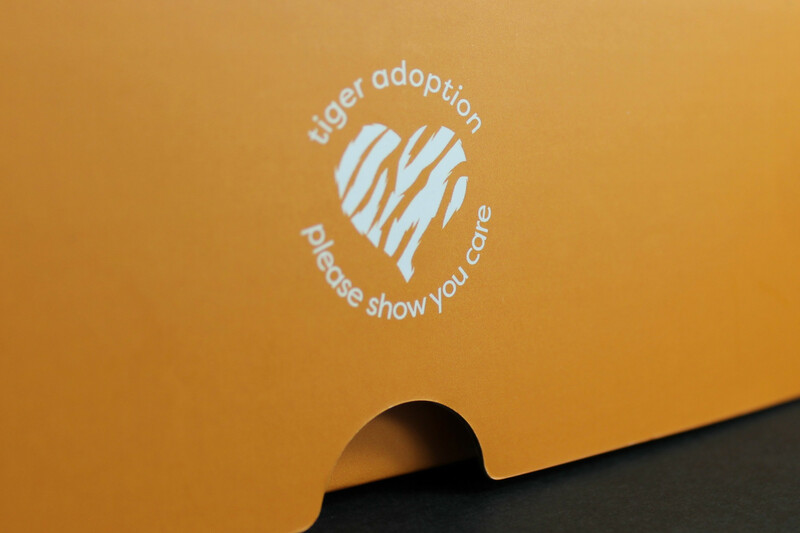 Once a style was established, we used this as a basis to create the remainder of the items needed to complete the adoption boxes and kept the style consistant and vibrant.